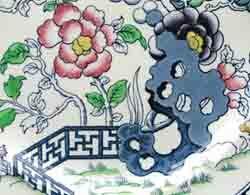 These two hard-to-find patterns are almost identical and are based on the same transfer-printed design, the differences being in the hand colouring. 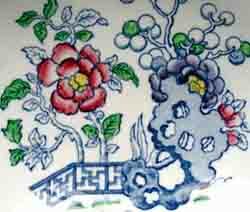 Pekin has a coloured border and brown trunks on the tree, as shown right. 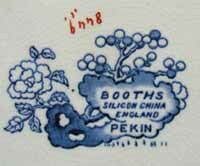 Note the ornate Pekin backstamp, reminiscent of Booths' Scale Willow mark. 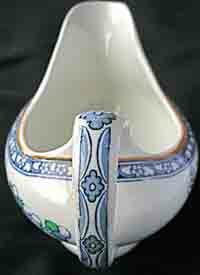 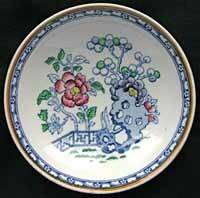 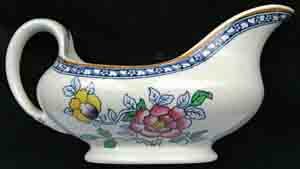 Items are usually also marked with a handpainted pattern number - 8449. 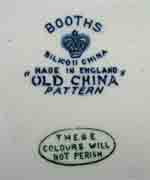 The wording 'England' in this mark implies a date of c. 1906-21 for this design. 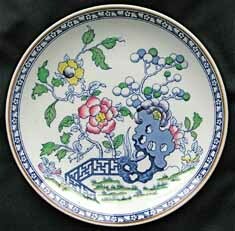 On Old China items the border and tree trunks are plain. 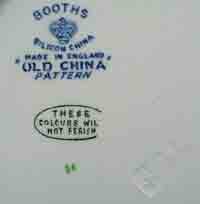 The backstamp is similar to Booths' Netherlands and other marks. 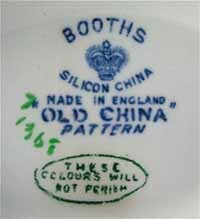 The silicon china 'Made in England' mark (instead of just 'England') implies a date of c. 1921-44, so it is possible that this pattern superceded the one above. 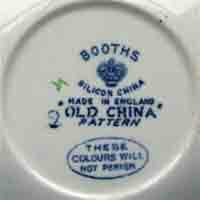 All the Old China items we have seen have impressed date stamps for the early 1930s. 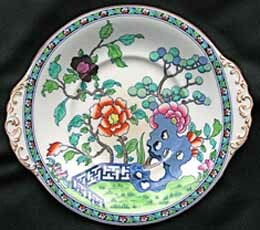 Our Old China stock is shown below. 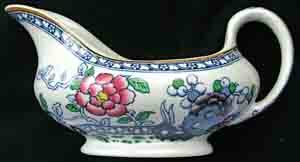 For Pekin items please click here. 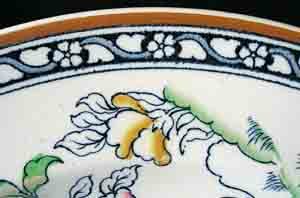 We specialise in English tableware from the 1920s and 30s and ship worldwide from our base in London, UK. 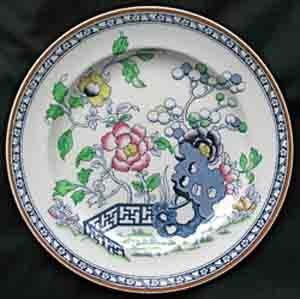 This site only shows a small fraction of our stock - if you don't see what you're looking for, please e-mail us. 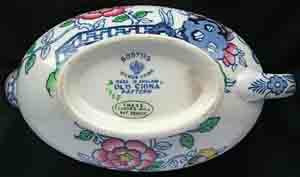 Please note we don't offer a valuation service.